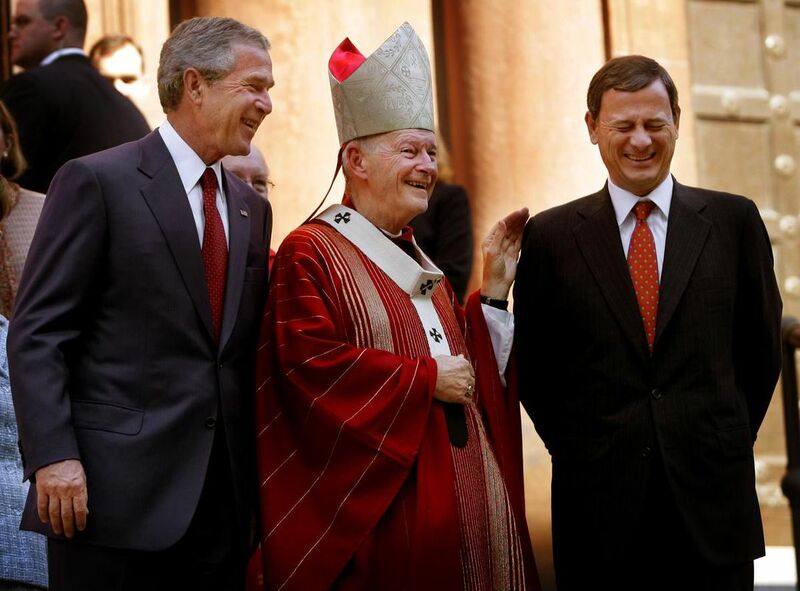 McCarrick with George W. Bush and John Roberts. He is the highest-ranking Catholic official in the United States to be removed for sexual abuse of a minor. [W]hile the church has made strides in dealing with sexual abuse of children, it has largely avoided a reckoning over sexual harassment and abuse suffered by adult seminarians and young priests at the hands of their superiors, including bishops. Now, after the fall of Cardinal McCarrick, some Catholics are saying that the church is on the verge of confronting its own #MeToo moment, akin to the wave of painful truth-telling that has swept through other workplaces, schools and Hollywood. In 2000, Pope John Paul II promoted Archbishop McCarrick to lead the Archdiocese of Washington D.C., one of the most prestigious posts in the Catholic Church in America. He was elevated to cardinal three months later. Do not hold your breath waiting for the Vatican to clean house of individuals like McCarrick as it needs to do so badly.